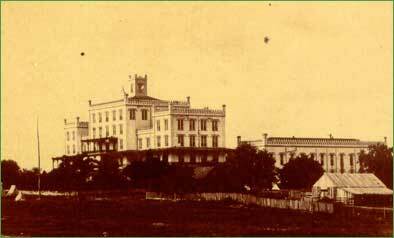 This photo of LSD was taken during the Civil War, when Union troops were using the school as a hospital. The story is told of the time when a Union gunboat was firing cannon at the school. The school's Principal actually rode in a small boat to the warship and explained that this beautiful building was a school and not the state Capitol - the firing was halted before any significant damage occurred.